Coming up to Ely for your Boundary Waters Canoe & Camping Trip? Do you have all the gear you need? Canoes for paddling, tents for camping and food for fueling up? If not, Moose Tracks is an Ely Boundary Waters Outfitter with the quality gear you need for a wilderness adventure that is well equipped. From our All Inclusive Kevlar Outfitting Package to our Canoe and Food Outfitting Package, we can fill any gaps when it comes to your Northland Adventure in the Boundary Waters Canoe Area. There are many times in life that you just want to get away. There is no better way to get in touch with nature than a Boundary Waters Trip. Our Ely Resort offers Guided and Outfitted Boundary Waters options, whether it’s just a day or a multiple nights stay under the stars, our Ely BWCA Outfitters have your back out in the wild. Learn more facts and find local secrets when you choose our Guided & Outfitted Boundary Waters Services. We only provide seasoned guides that know their way around this beautiful Northland like it was their own and in a way it is… everyone has the option to explore this preserved wild forestry and learn from it. Just be sure to make your choice before the available permits are already spoken for. Call us for your BWCA Entry Permits. 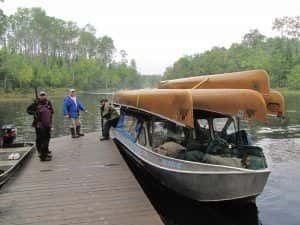 If you would rather enjoy the boundary waters without a guide service our All Inclusive Canoe & Camping Outfitting option may be great for you and your group. 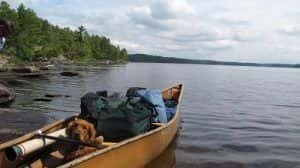 If you’ve been to the Boundary Waters and understand staying safe on your BWCA Voyage you can easily experience it for yourself. Many come back to the BWCA each year because it is just that beautiful. We can offer everyone you adventure with all the gear they will need to take on the elements well equipped. From lightweight Kevlar canoes and comfortable portaging yokes to 3 packed meals a day and cozy creek chairs – we are your full canoe, camping and mapping resource in the BWCA. Don’ miss that breathtaking view because your canoe is tattered or spend your whole night trying to fix your tent. Our Ely Outfitters can be with you so that you can conquer mother nature in its most natural state with as little hassle as possible when it comes to the gear you take on your voyage. Contact our Ely BWCA Outfitters at 218-265-4106.